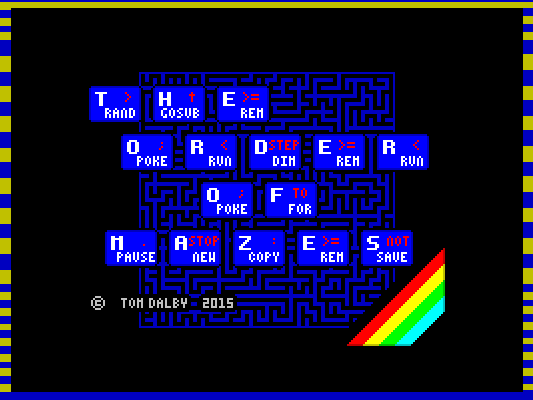 The Order of Mazes was written for the ZX Dev 2015 competition. It started off as an sprite engine tech demo for a different project that I decided to expand for the competition. 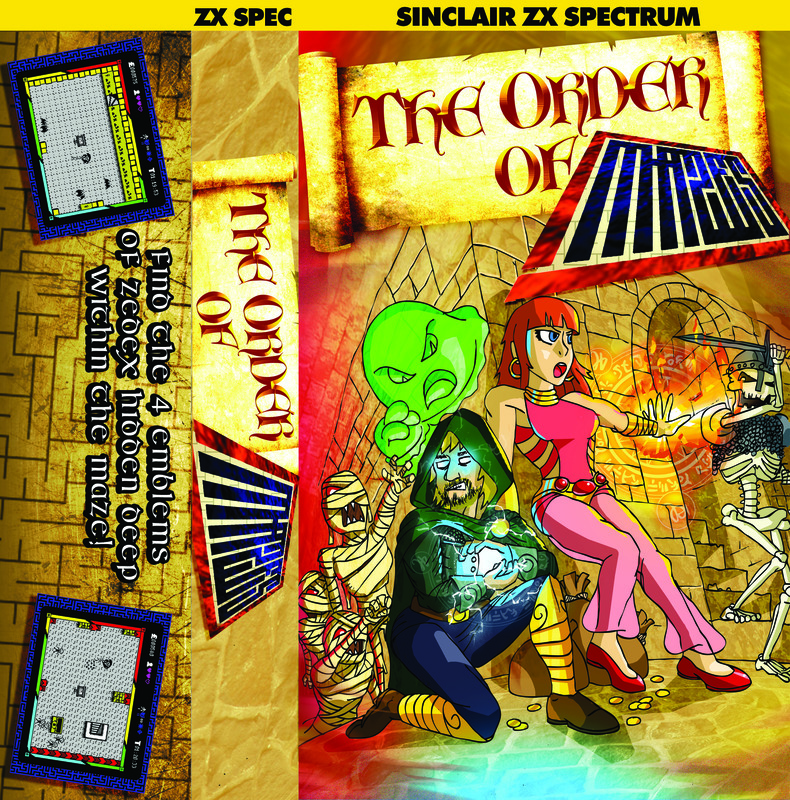 The game is a homage to many of my favourite Spectrum games, incorporating elements of each and adding some new ideas. The basic premise is to navigate your witch or wizard through 4 distinct levels of dastardly Mazes, filled with treasure and monsters, in order to find the 4 lost Emblems of ZedX which will open the exit so you can escape. At the end of the game you received a medal based on your performance in 4 areas: 1) completion time; 2) % of maze explored; 3) # monsters zapped; 4) cash collected. The top medal is platinum. 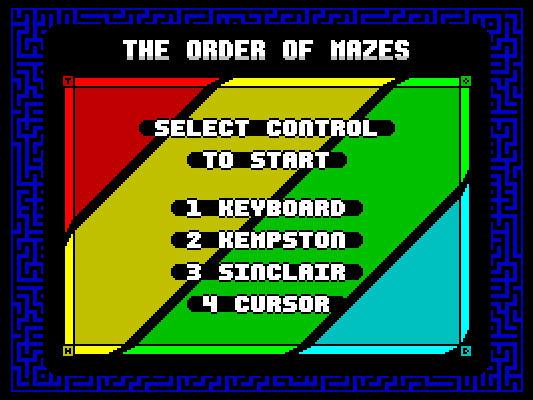 The game features procedurally generated mazes so every game is different. 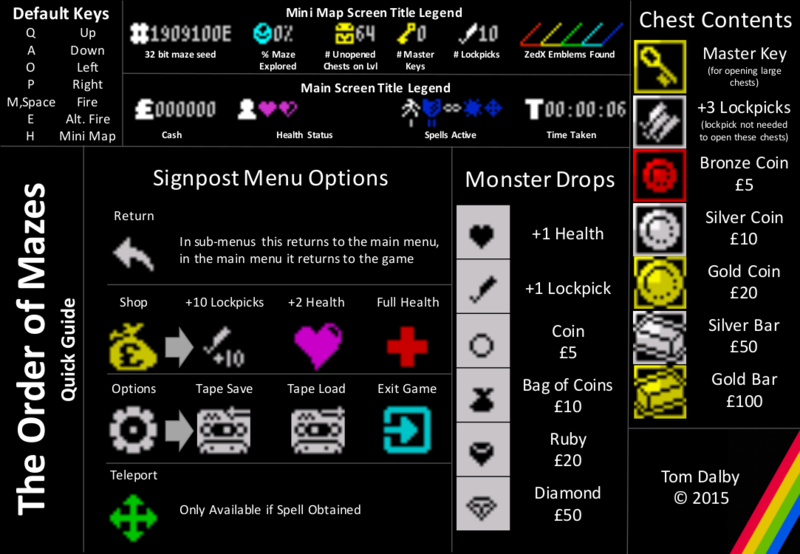 It also has an inbuilt mini-map and checkpoint system to help with playability.